It was too hard to order these, so consider them all tied for the number 1 spot. Here we go! N++ means a lot to us, and we’re really proud of what we were able to accomplish. It’s a game that fully exudes our vision and really captures what we wanted the series to be: it’s beautiful, minimal, laser-focused and challenging, and rewards dedication and initiative. It’s full of enthusiasm and new ideas, as well as things we’ve refined over years that have come to fruition. We still have a lot to do before the game is fully complete, and we had some post-launch disappointments, but we refuse to let that sully something that is so powerfully important. N++ is a love letter to fans, and a milestone in our lives we’ll look back on favorably for years to come. This was one of the first reviews of N++ we saw where the reviewer really GOT it. NerdCubed understood why you would want to play N++, and most importantly, why you’d want to keep playing. It was a really fun review, and set our minds at ease: N++ is a niche game, and we don’t expect everyone to like it, but we set out to make something more accessible and enjoyable than we ever had in the series, and NerdCubed’s enthusiasm let us know we were on the right track. Check it out! It’s a great video. We’re so stoked about that! 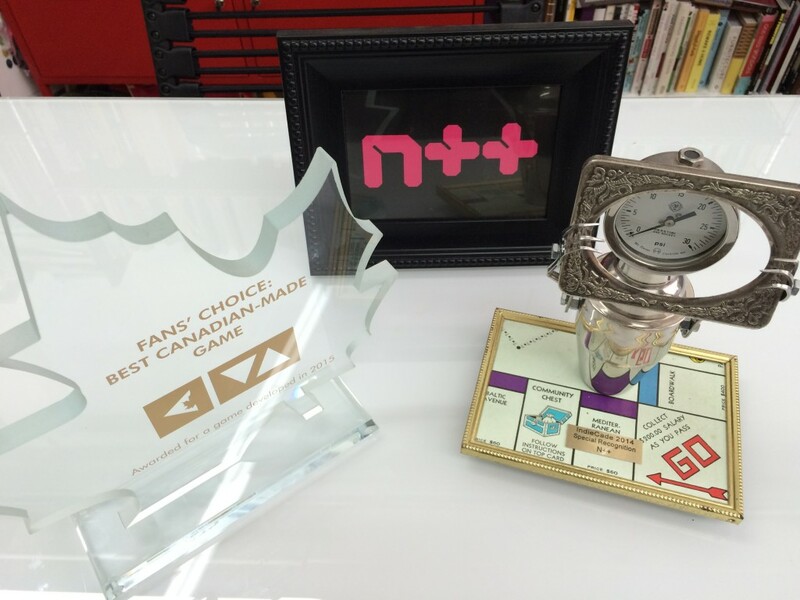 We’re so happy to hear that people appreciate what we’ve made — the Fans’ Choice award was especially delightful to receive, since N and N+ have both previously won Fans’ Choice awards, and it’s great to know we have made a game players love. wow…That was the most awesome speech, and we were floored. Jon is part of the reason we got started making games, because seeing the amazing games he’d already made was incredibly inspiring. So to hear him say those things about us — we got teary. Thanks so much, Jon, you’re the best. This clip is so good. It’s the perfect embodiment of what it feels like to play N++ 🙂 Thanks MAN, you’re the greatest! As you may know, N++ has a level editor, and Metanet hosts servers so that players can make and share levels globally with other players. This year we had the pleasure of seeing that community get started and develop as we played lots of the amazing N++ Levels that have been made. We also were able to meet some of the creative and dynamic mapmakers, which is always really cool for us. We enjoy seeing who you are outside of the game, and to see what else we have in common. We’ve collected lots of our favourites here, but you should really just go browse them all! We hope you all keep making levels — we’ll keep playing them! That’s amazing, we feel honoured that our game was included among so many really stellar titles. It was a great year for videogames! We’re so glad N++ ranked up there among the best of them. And that’s 2015 in a nutshell! So many great moments. 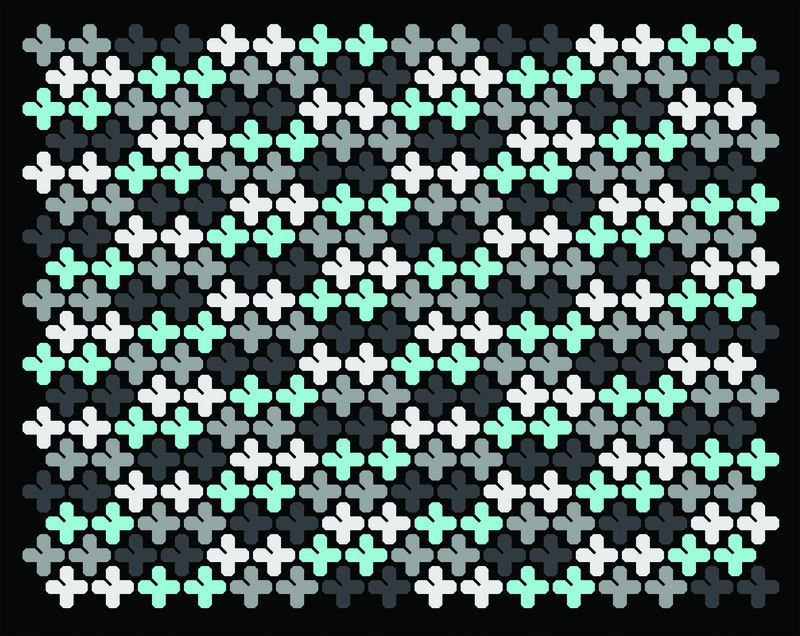 Thanks so much to everyone who played and enjoyed N++, you all rock! And you can buy the game for PS4 here in the PSN store! If you already know about N++, please help us spread the word — we want as many people as possible to try it, and we could use all the help we can get! Before we sign off for 2015, we want you to know we’re working very hard to get another PS4 patch out to you as soon as possible, so get ready for that! We’ve hired a new programmer to port the game to Steam, and we’re looking forward to getting started. We’ll have more news for you soon. And as we close out some milestones and move forward towards others, we want to thank you all for your support and enthusiasm and hope you’re as excited about the future as we are. Cheers to a successful 2015, and best wishes to all of you in 2016. 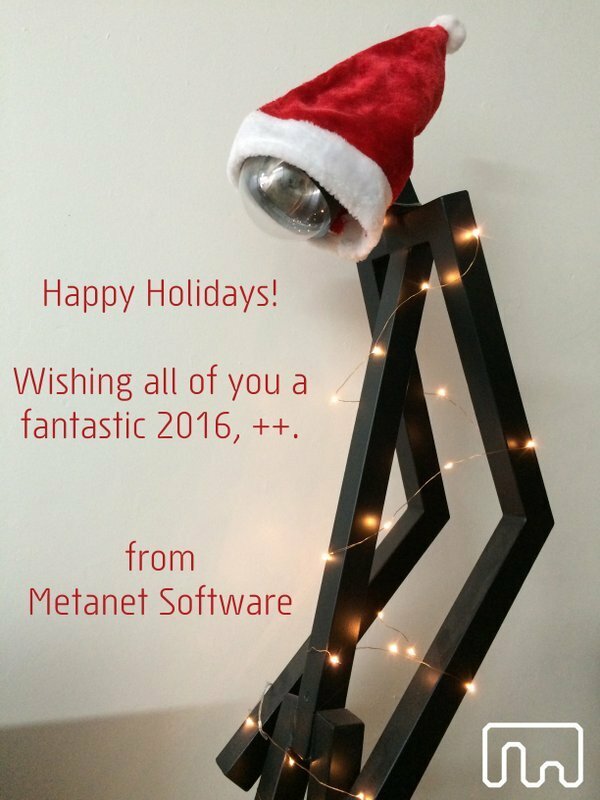 Happy Holidays from Metanet Software! I think I read somewhere that there would be an update coming that would almost double the content in the game, and also you would raise the prices? If this is true, when is that update coming? Thanks for the shoutout! Best of luck for 2016! Wait. N++ Will be on steam? Cool! I don’t have PS4. I see another one of my levels got featured, but the levels in the last update doesn’t appear under the feature tab in the game! :p I’m currently working on an even more intense “Go Straight” level. This one will feature jumping through machine gun bullets, which I didn’t even think was possible before I started on this level… A part of the challenge, IMO, with DDA levels is to find ways to score a better score than the idle times. Usually this is possible, but working against this without pushing too much gold at the places people go is a bit of a challenge for the level creator. I think one person might have beat me on the level that got featured. I’ve also made a couple of levels where you’re supposed to try to find ways to beat the idle time. One thing I’d love to see someone do is make a DDA level where the sounds being made becomes some sort of a melody. I got some ideas about how to do it and a simple melody, just for proof of concept. @MMDE: fixed! sorry about that, we must have overlooked that part. I think the patch that just went live breaks the clones. Many clones has become invisible… Both their gate and when they run around. You will hear the sound of activating them, but you won’t see them and they can kill you.